The final version of Mozilla’s Firefox 3 browser is set for release next Tuesday, June 17th, it was announced today. The browser has been in active development for 34 months with feedback from thousands of users and independent Firefox add-on application developers. "After 3 years of work, 15000 changes since Firefox 2, we're really excited that the result of the hard work from our community will now be available to our 180 million users - and more!" Mozilla's European president, Tristan Nitot told TechRadar. 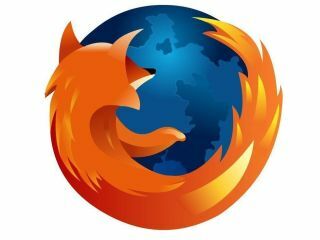 "All of us in the Mozilla project have been enjoying the improvements done with Firefox 3, including the Awesome Bar, speed gains and excellent memory management.But we can't wait to see it in action in the real world! "On the day Firefox 3 is released we will hold a Download Day, where our users are encouraged to download the brand new browser. We're aiming to set a new Guinness book Record of the most downloaded software application in 24 hours. Come and join us in this by registering on spreadfirefox.com !" “Whenever we’re asked “when is Firefox going to be released” we endeavor to answer to the best of our abilities, but the truth of the matter is that we’ll only ever ship 'when it’s ready',” reads an entry on Mozilla’s site today. “We have a lot of indicators that help us understand when the product is ready for release: feedback from our pre-release milestones, excitement in the community and the press, availability of compatible Add-Ons, and a large active beta community helping us ensure that the release is compatible with all the various sites on the Internet." But then of course, they would say that. Try it yourself next week and make your own mind up.